nostalgic drinking emporiums in New Orleans. The economy may be dour, but we are not sour! Our little ‘zine is gaining steam and chugging all over the globe. Come dance the light fantastic with werewolves in the moonlight. Travel the world through our literary itinerary. Check out our women entrepreneurs and artists. 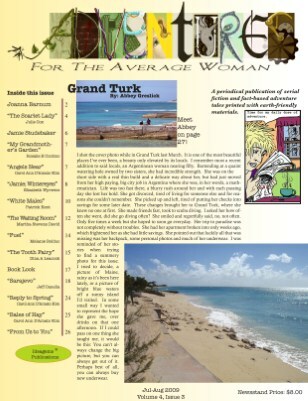 Above all, spread the good word about ADVENTURES FOR THE AVERAGE WOMAN and encourage others to take a good, long read. As always, we appreciate your support and encourage you to encourage others to subscribe.